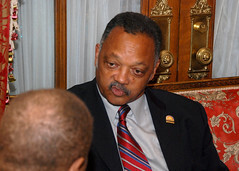 2 out of the 3 times when I've taken photos of prominent black people, President Barack Obama and Donna Brazile it hasn't been premeditated. This time though a friend gave me minutes notice and thanks to my lowepro back pack that I carry around everywhere, I had the opportunity to get blog-worthy pictures of Rev. 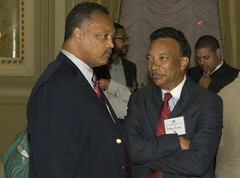 Jesse Jackson at the Willard Hotel at a media and telecommunications conference on Thursday. My thoughts when I saw the famous African American...He must be at least 6'4": that's a tall dude, TV doesn't do him justice (pun intended) :-). I guess I can officially say I'm now about-that-DC-life.